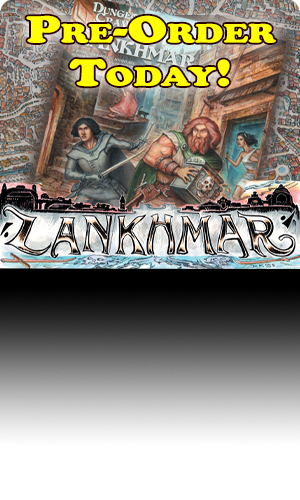 Fifth Edition Dungeons & Dragons goes Old School. 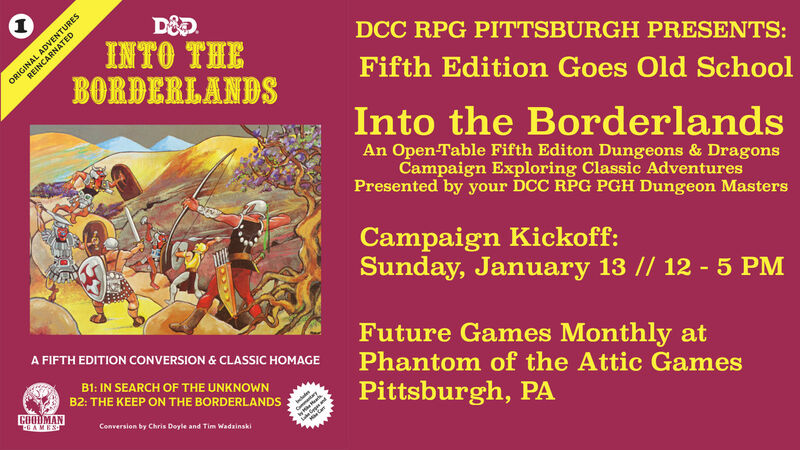 Your DCC RPG Pittsburgh Dungeon Masters (Stefan and Mike) will presenting the Goodman Games update to B1: In Search of the Unknown (1979) and B2: The Keep on the Borderlands (1979) at Phantom of the Attic. The campaign will kick off Sunday, January 13th and will continue monthly. The first session will focus on character generation, campaign rules, and some exploration. Future games will pick up where the previous game left off. This is a set-piece sandbox campaign. The characters will determine the ongoing story. As an Open-Table game, regular players will advance their characters through the campaign, while drop in players can select a pre-generated character to play. If possible, players should bring their own materials (dice, pencils, paper, Player’s Handbook, other relevant game books and materials). The Game Masters will have some extra materials available. No experience with any edition of Dungeons & Dragons expected or required. This is a perfect opportunity to try our D&D with experienced Game Masters. We’ll have two tables, so there should be plenty of room.